On March 12th, 2015, Bandai Namco Entertainment launched Digimon Story Cyber Sleuth on the PlayStation Vita and PlayStation TV. A 2015 JRPG-detective game, Cyber Sleuth plays like a hybrid of Raidou Kuzunoha and Devil Survivor with Digimon World DS' battle and evolution system. Cyber Sleuth quickly became a centerpiece in Operation Decode, a massive fan petition to see new Digimon games brought over to the west that had previously campaigned for Digimon World Re:Digitize Decode to see international release. After over sixty-five thousand signatures and several years of campaigning, Bandai answered fan demands with the budget fighter Digimon All-star Rumble, created specifically for the west as a market test. 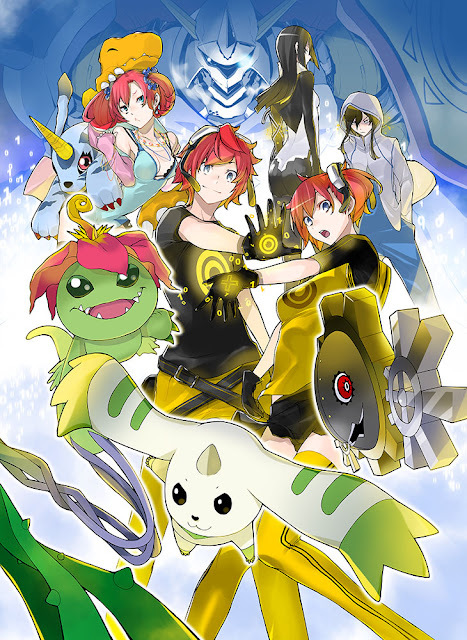 While this nearly sabotaged the efforts of Operation Decode in its entirety--the predominant view prior to ASR's release was that the game would kill the Digimon brand again--support for Decode drummed up over forty thousand artificial purchases, and in July 2015 Bandai announced that Cyber Sleuth would see its long-desired international launch on February 2nd, 2016. Chapter 01 "Welcome to the Kuremi Detective Agency"